Here are the tracks I especially like below (marked with a ). Enjoy! I find myself liking Trance more and more. Really cool of you to give us a download link too, man, I really like this! I'm gonna check out a few of these on youtube. oh sht haha sick set... This is good music for when you're driving downtown in your car haha. You made the last one? I do like his sound once the beat picks up. i love trance. the end. I'll admit, I'm not the biggest fan of trance/dubstep/ect, but I do have a tendency to like what you post. Good things here man. I liked it. These sound wicked, thanks man! 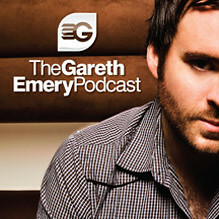 Gareth is insane... really love the dude! I saw (and danced to) Sander van Doorn on a Dance event here in Holland a few weeks ago. An event called Energy, if you ever heard of it. @Logar nice! I think that's the same place Tiesto did one of my favorite sets in 2000.